"I learned about the Camino de Santiago in July of 2008 while searching for a new way to explore and record Bach's Six Suites for Solo Cello. Their thirty-six movements are brief musical essays that sing and speak in many different ways and the Camino provides a perfect venue to explore Bach's musical language and to share it with people from all over the world. It thrills me to have the rare opportunity to combine my love for adventure and the outdoors with my passion for music! July, 2008 was the beginning of a fantastic journey and I am so excited to finally realize this dream in Spain. I have assembled a great team of people who will be helping me document the walk. Each of them brings valuable skills and vital insight to the project and I know that together we will produce a beautiful document of our journey through Spain and a fresh, innovative presentation of Bach's Cello Suites. You can get to know the whole team on this page." 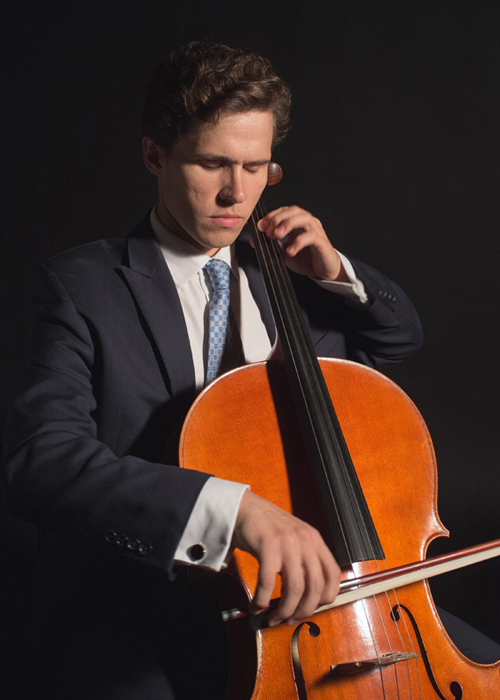 American cellist Dane Johansen performs extensively throughout the world as a soloist, chamber musician, and member of the Escher String Quartet. Praised for his "brave virtuosity" and "staggering aplomb" by The New York Times and New York Magazine, Johansen debuted at Lincoln Center in 2008, performing Elliott Carter's Cello Concerto with James Levine in celebration of the composer's centennial. Johansen is an artist of the Chamber Music Society of Lincoln Center and has performed at The Marlboro Music Festival, Bridgehampton Chamber Music Festival and Seattle Chamber Music Festival. He has performed in China, Australia, Germany, France, Italy, Austria, Switzerland, Czech Republic, Finland, England, Ireland, Mexico, and Canada. In 2010, Johansen performed Bach’s Six Suites for Solo Cello at Alice Tully Hall. The following year, he gave the New York premiere of the Crouching Tiger Concerto with composer Tan Dun and the Metropolis Ensemble at the Lincoln Center Outdoor Festival for an audience of 4,000 people. As the first winner of Juilliard’s Leo Ruiz Memorial Award, Johansen made his Carnegie Hall debut in 2012. This season, as winner of Juilliard’s Sanders Prize, he will perform Bloch’s Schelomo with the Jerusalem Symphony Orchestra in Israel. Johansen is on the faculty at The Juilliard School as assistant to Joel Krosnick and at Juilliard’s Pre-College. He plays a cello made for him by Stefan Valcuha in 2011. "Dane first shared with me his inspiration for this project during the fall of 2009 and I was intrigued by his connection to Bach's music and by the physical aspect of walking the Camino. The initial concept was an audio recording of Bach's Suites along the ancient passages of Northern Spain but as a film maker, I had to suggest exploring a visual element. Over the years, those elements combined into a very exciting documentary that I know will be a life changing journey for us all, one that contains essential elements of collaborative art - music, fellowship, and adventure." Productions. In 2010, his production of Driving the Saudis received the 'Overall Excellence Award' from The New York Fringe Festival where it was adapted by Simon and Schuster and published as a memoir by Jayne Larson, making The New York Times Best Seller in November 2012. Most recently, he produced a feature length adaptation of Christopher Marlowe's Elizabethan satire, The Jew of Malta that was released in the Fall of 2013 by Films for Humanities & Sciences - the world's largest distributor of educational media. In addition to his passions as a producer, Patrick is also a faculty member at NYU's Center for Neural Science where he lectures in the Advanced Honors Seminar. "I was introduced to this project by Patrick Terry at the 2012 Hamptons International Film Festival and was immediately inspired by the possibility to integrate music, fellowship, and nature. Music has always enhanced my ability to feel deeply and establish more meaningful connections to the world. Capturing the humbling music of the cello (my favorite instrument) and the magical environment of the Camino will present incredible opportunities for discovery and expression." 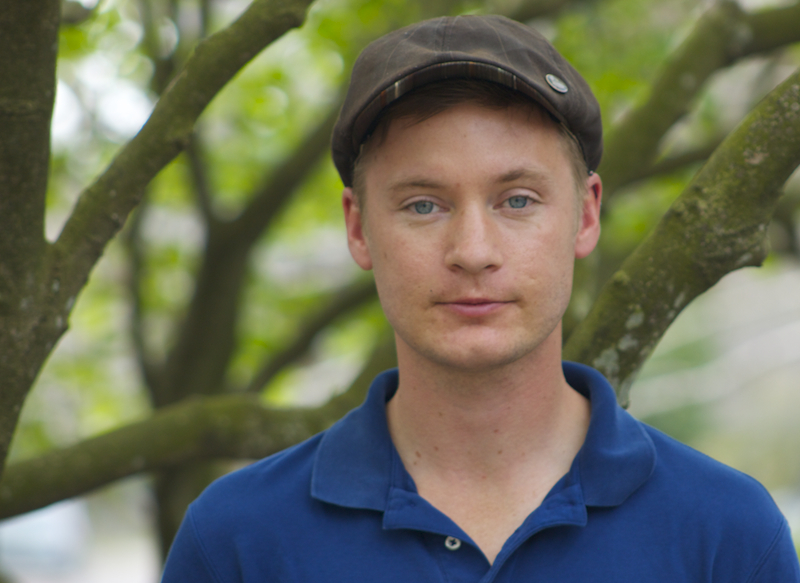 Chad Peterson is a New Orleans based writer and filmmaker. His credits include; True Detectives (HBO), 2 Guns (Universal Pictures), The Expendables II, The Last Exorcism Part II (Strike Entertainment), Touchback, and Hopeful Notes. He was Production Coordinator for the 20th annual Hamptons International Film Festival. Chad is a member of the Writers Guild of America West, recently registered his feature screenplay, Silver Town and has been published in The Washington Square Review. Directorial credits include; Marching Forward (Short Documentary), A Man and His Mountain (Short Documentary), Two Years of Mourning (Essay Documentary). "What we know: The Camino will be lengthy, arduous, and will test our limits both physically and creatively; it will have a shape, a distance, and its own schedule that can be easily calculated or discerned; we will find towns and churches, roads and buildings that can be seen in guides and maps; the music that will be played will be recited from a written document of notes and bar lines and performed on an instrument whose sound is instantly recognizable; there will be hundreds of hours of footage collected from multiple cameras and perspectives that will represent thousands of gigabytes of data; and when the journey is complete, this massive archive of material will be distilled down to a single cinematic statement that will in some sense form an intimate portrait of the path we took and the people we met along the way. What we do not know: How all of the above will work together to reveal to us, and our audience, some innate truth about human nature and the desire to quest, to connect with each other and ourselves on a deeper, hidden path which cannot be found on maps." Tristan Cook grew up in the small squirrel-hunting hamlet of St. Charles, MO. He graduated from New York University's Tisch School of the Arts with a BFA in Film Production and a minor in Historical Musicology. Tristan is a freelance filmmaker and photographer living in New York City. His work centers on the performing arts, whether it be documentary or music video, conceptual or promotional, and his extensive list of clients include the Metropolitan Opera, Orpheus Chamber Orchestra, the Chamber Music Society of Lincoln Center, the Emerson String Quartet, and the New Jersey Symphony Orchestra. For the past ten summers, Tristan has headed the video and photography department at Music@Menlo in Menlo Park, California, creating short films and collecting thousands of stills every day. A passionate connoisseur of the liquid arts, Tristan has recently completed a series of short documentaries with the Shmaltz Brewing Company, and is himself an avid homebrewer. A native of Bulgaria, Iskra Valtcheva is a versatile cinematographer with a unique perspective on visual storytelling, and excellent work ethic. Her cinematography credits include a 2011 Student Academy Award winner (Fatakra, dir. Soham Mehta), and a 2008 nominee (Red Wednesday, dir. Nazanin Shirazi) and semi-finalist (Love, Sadie, dir. Naiti Gámez). Iskra has worked on award-winning projects that screened on PBS (Tattooed Under Fire, dir. Nancy Schiesari), the Sundance Channel (Kids Green the World, dir. Amy Grappell), KLRU (UT Performing Arts Centre Campaign, dir. Samuel Jørgensen), and at numerous festivals worldwide including Cannes and SXSW (Love, Sadie). Iskra’s most recently completed projects are the feature film Far Marfa (dir. Cory Van Dyke), the Bollywood TV series Teri Meri Dosti (Express Entertainment Channel) and a documentary for SCALEAfrica shot on location in Mfuwe, Zambia. Iskra holds a B.A. in Art from Williams College, MA, and an M.F.A. in Film Production from the University of Texas at Austin. While at UT, Iskra was nominated for the 2007 John Alonzo, and the 2009 Bud Stone ASC Student Heritage Awards in Cinematography. For more information visit http://www.iskravaltcheva.com. Recording Engineer Jesse Lewis grew up in Seattle, Washington. He now lives in Boston where he is a cellist, music producer, recording engineer and founder of The Immersive Music Project. He has been the recipient of three Grammy Awards and four Grammy nominations. He records all over the world with artists such as Yo-Yo Ma and the Silk Road Ensemble, and the Los Angeles Philharmonic Orchestra. 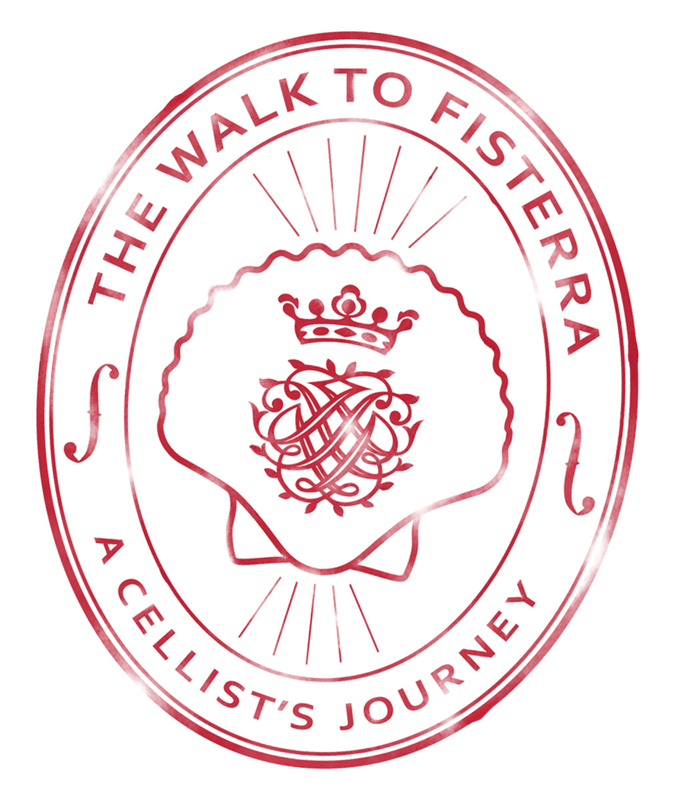 "When Jesse Lewis invited me to become a part of The Walk to Fisterra, I was instantly ecstatic at the chance to combine such a rich cultural experience with the opportunity to record a world-class talent like Dane. The challenge came in trying to clear a six-week block off of my schedule while studying for a one-year expedited Master's degree. Serendipitously, the call to the project came as I was hashing out ideas for my final thesis project, and I was able to commit to the project not only as a member of the team, but as part owner with a vested personal interest." Kyle Pyke grew up in San Diego and was introduced to music by his father, a studio guitarist. He started playing the guitar himself, teaching guitar lessons and engineering recording sessions with his father. Kyle is currently a Master's student of the inaugural Music Technology Innovation class at the Berklee College of Music campus in Valencia, Spain. Previously based in Boston, his collaborations include work with the Juventas and Equilibrium chamber ensembles, as well as duet Transient Canvas for the album One Head by composer Andy Vores. Most recently he was an assistant to engineer Clark Germain in sessions with Spanish Tenor Plácido Domingo. "One particularly intense day in our Masters course, Kyle came to me and asked if I would be interested in joining the Walk to Fisterra team. When I realised he wasn't joking, I jumped at the opportunity and starting preparing! I am excited to be involved in this project for a myriad of reasons, from expanding skills by experiencing new, unusual recording environments to following childhood dreams of being Michael Palin, or at least doing something a bit like him…"
Beth is a music technologist and woodwinds player with a varied and colourful background. After graduating from the Royal College of Music in London where she studied recorders and clarinet, she ran away with the circus and never came back. A journey via Giffords Circus, Disneyworld, Les Amis d'Onno (an equine theatre troupe) and a sabbatical at a classical dressage yard in sunny Andalusia brought her to Berklee College of Music's graduate campus in Valencia, Spain where she spent an intense year working for her Masters in Contemporary Studio Performance. Whilst at Berklee, Beth started to develop a lifelong fascination with the magic of technology and the recording arts from amateur enthusiasm to a embarkment into professional training. She is currently wrapping up her Music Technology Innovation Masters degree where she has focused on studio engineering and computer programming for musical applications. Beth is excited to join the Walk to Fisterra team and hopes to continue her involvement in other exciting, intriguing projects in the future. Kayla Arend, a recent graduate of Montana State University’s film and photography program, has always had a thirst for adventure. She is especially fascinated with nature and culture. With interests spanning from wildlife and wilderness conservation efforts to entomology and music, Kayla is passionate about documenting the natural world. An accomplished filmmaker, Kayla has directed and written such notable work as “Parkinson’s Disease: The Ripple Effect” as well as working as camera operator for TEDx Bozeman. She also has research that is up for a scientific publication in a Coleopterist bulletin. With a wide array of interests and accomplishments, Kayla is eager&nbsp;to experience as much of the world as she can. Ben Roif grew up in Westchester County New York. During college, he spent six months studying abroad in Spain and having studied the language for years he is now fluent in Spanish. On May 17th, Ben will graduate from the University of Wisconsin-Madison with degrees in Film and Economics. One day later, he boards a plane to Spain where he will meet the team in Pamplona for the Camino. "I am extremely grateful to be working on such a special project with an extraordinary group of people. Dane’s spectacular artistry in his beautiful renditions of Bach’s six suites are infectious. The Camino could not come soon enough. I am passionate about creating meaningful works. I am mesmerized by Spain’s country-side and I admire Dane’s virtuosity of the cello. This project is my ideal transition to the world of film."